As part of the global music relief effort to benefit those affected by the earthquake and tsunami in Japan, some of the biggest names of the classical music world have come together to release Classics for Japan – Music for Healing, a digital-only album released on April 6, with all proceeds going to the Japanese Red Cross Society. 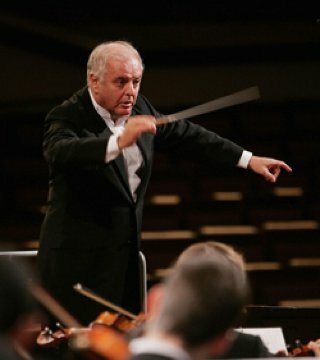 Featuring favourites of the classical music repertoire, such as the Andante from Mozart’s Piano Concerto No.21, Massenet’s Meditation from Thais and Beethoven’s Moonlight Piano Sonata, the album boasts a stellar list of artists who are either Japanese or who have enjoyed particular success in Japan, including Mitsuko Uchida, Daniel Barenboim, Seiji Ozawa, Vladimir Ashkenazy, Alice Sara Ott and Akiko Suwanai. The featured world-class artists hope to demonstrate to classical music lovers across the world the uniting force of music, bringing comfort and relief to all both through the power of music and through the direct proceeds of the album. Funds will be used for the provision of immediate relief and resources, and for the ongoing recovery of the affected population. Deutsche Grammophon and Decca Classics are working together to release and promote Classics for Japan – Music for Healing. Universal Music is donating its total income from the album to the Japanese Red Cross Society, the artists having waived all their royalties. Release date: Wednesday 6th April 2011.